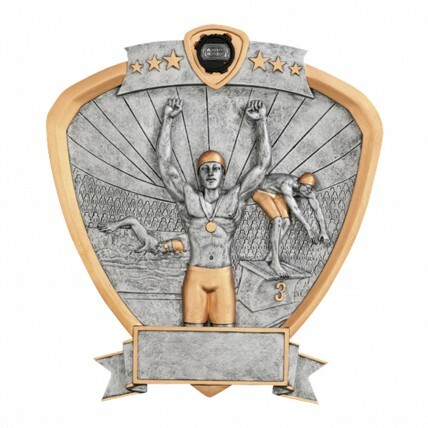 Give your favorite male swimmer an award that properly represents his talents and dedication to the sport. 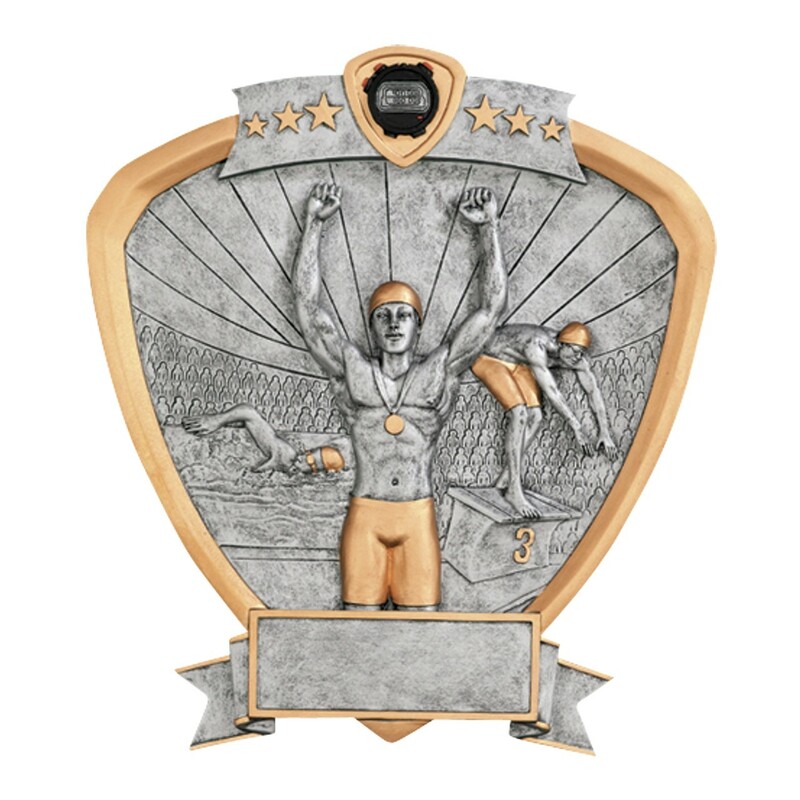 The Male Swim Team Shield Award is made of cast resin, but looks to be pewter and is accented with gold. This award depicts a race from beginning to victory. With this award you can show your swimmer how proud you are and encourage him to keep going for gold! gold.